CSHL Archives Repository | Bruce Stillman, Valerie Gerlach and Errol Friedberg at Biological Responses to DNA Damage Symposium Wine and Cheese, 2000. Bruce Stillman, Valerie Gerlach and Errol Friedberg at Biological Responses to DNA Damage Symposium Wine and Cheese, 2000. 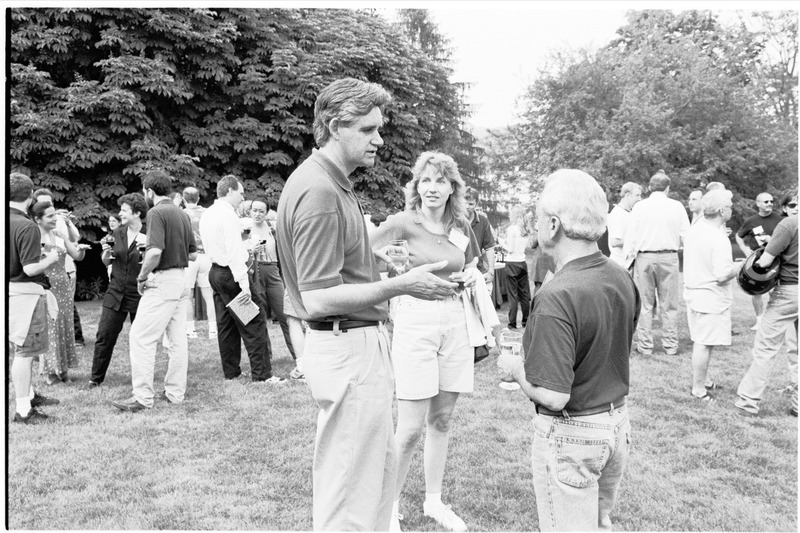 Chua, Miriam, “Bruce Stillman, Valerie Gerlach and Errol Friedberg at Biological Responses to DNA Damage Symposium Wine and Cheese, 2000.,” CSHL Archives Repository, Reference SQB/2000/1.51023, accessed April 22, 2019, http://libgallery.cshl.edu/items/show/57005.